Should you sell your house before or after a divorce? What to talk about with your ex. Under even the best circumstances, selling your home can be stressful. It gets even more stressful during a divorce. If your divorce does not include a buy-out, then eventually you will sell your family home. Here are a few steps to think about when you are selling your home during a divorce. 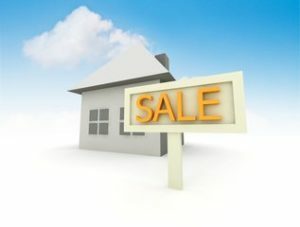 When should we sell our family home? You may wonder – should I sell my home right after the divorce, a few years later or before the divorce. It depends on what works for you and your family. However, whatever you decide, you must be clear about the process. For example, if you agree to co-own your home for 2 years and then sell it – that’s okay, as long as you describe the next steps. For example, you should discuss when the house will be listed, who will be the broker, how you will agree on a listing price and how you will divide the proceeds. Also, if you plan to co-own your home for several years after the divorce, speak with your accountant about potential future taxes. Increasing the value of your home. Together you will choose a real estate broker. Your broker will help with most aspects of the sale of your home – including whether you should make improvements. Your broker may suggest that if you fix or improve something, then you should expect to get more money from the sale. Speak to your ex. Get the agreement in writing before you hire contractors or spend any money. You have options if your ex says they can’t afford to pay for the improvement right now. You may offer to pay for the improvement, up front – and then after the home is sold, you will be reimbursed for the payment. You both will benefit from a higher sales price. How much do I get from the sale? Don’t assume you know how you will divide the sales proceeds. You need a clear agreement. Understand the concept of net equity. Net equity in your home is the amount of money left over after you have paid off mortgages, other loans, real estate broker fees and other sale related costs. You may want to select a percentage of sharing, such as 50/50 of the net equity. On the other hand, if may want to agree you will get a certain dollar amount. For example, if you have been married for a short time and you used your own money for the $50,000.00 down-payment, then maybe your agreement will say that when you sell your home, you will receive the first $50,000.00. If the net equity is more than $50,000, then you and your ex will share in the additional proceeds. Also, remember to include in your agreement, how you will be reimbursed if you paid for improvements and how you will divide taxes, if any are due. Read more about how to sell your home during a divorce. As your a divorce mediator or collaborative attorney, I will help you discuss this issue with your spouse. Together you will make decisions that are best for you and your family. Contact me here to schedule a meeting.